Originally constructed to provide dining facilities for student veterans in 1946, which saw the highest World War II post-war enrollment of veterans. After WWII surplus quonset huts became common in civilian roles. The huts were a frequent sight on university and other campuses as they provided a means of rapidly expanding university facilities to cope with the influx of new students, thanks to the GI Bill, which provided tuition and other assistance to returning military servicemen. The building has also been used for rainy day drills and storage. In 1953 it became a complete training center for the Navy and Marine Corps ROTC programs. It has one large room (quarterdeck) that was used as a lecture hall, assembly room, and a place for entertainment when large audiences were expected and is still used for that purpose today. A folding metal door was added in 1954 to secure a storage area on the southwest wing of the building. The Naval Armory building underwent a number of additions and alterations. In 1971 the Armory was re-roofed after the building began to show signs of possible metal deterioration. The roof was replaced with a new roofing material called Foamed-in-Place urethane. The building is currently surrounded by perennial shrubs, several coniferous trees and a large lawn to the west. To the east of the building is a USMC obstacle course and practice yard which is used for ROTC physical training. 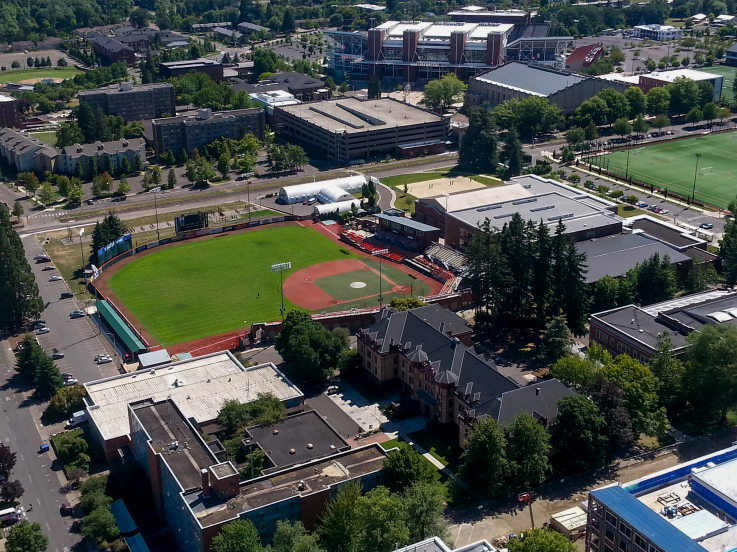 We are located at 2201 SW Washington Way, which is on the southern slope of Oregon State campus near Dixon Recreation Center, Goss Stadium at Coleman field, and the Parking Garage.